Toronto-based mezzo-soprano Emily D’Angelo is only 24 but is already taking the opera world by storm. With a voice that critics are hailing as “glowing” (Opera News), “sublime” (New York Classical Review), and “arrestingly vulnerable” (The New York Times), D’Angelo has skyrocketed into the international spotlight with win after win at some of the most prestigious vocal competitions in the world — the 2018 Operalia Competition, the 2016 American National Opera Association Competition, and the 2016 Metropolitan Opera National Council Auditions, to name only a few. 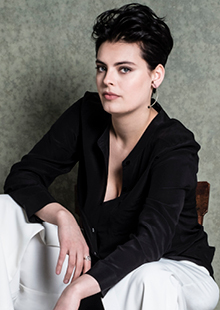 After awe-inspiring performances on the world’s most illustrious stages, this rising star makes her debut at the Santa Fe Opera as Dorabella in Così Fan Tutte before we spotlight her voice in recital during our Festival of Song.